Even more Cod than last weekend. I didn’t get out this weekend, but I wish I had at least had a go, especially on Friday. Quite a few anglers weighed some nice Cod in at the tackle shops. 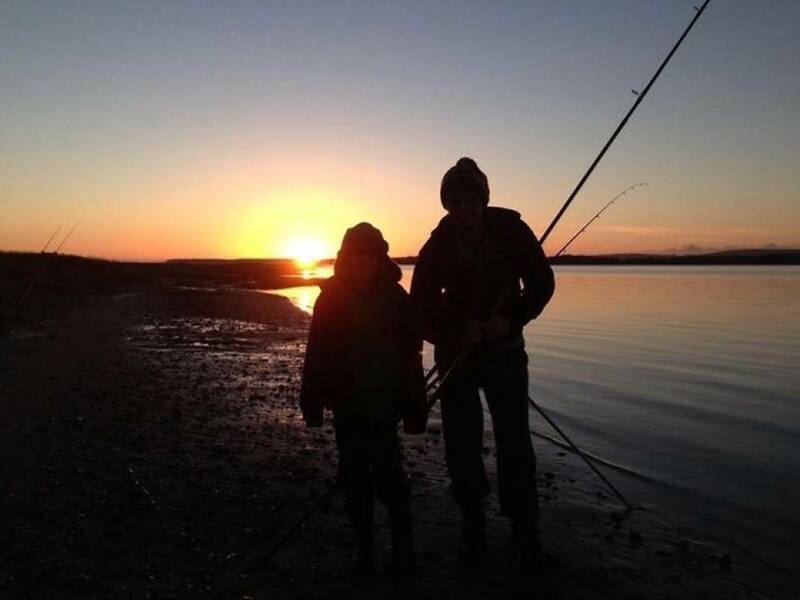 Abbotsbury seemed to be the mark to be at on Friday evening, with some anglers having as many as eight Cod up to 14lb. It didn’t go quite so well for those fishing the Samalite League on Saturday, where some of the top match anglers in the country struggled to find any decent fish. You know that when the Rockling appear on the beach that the fishing has hit rock bottom, and unfortunately the reports I have had back from Abbotsbury and western end of the beach tell of catches being mainly made up of Rockling. It really is time to look at alternative venues to give yourself a better chance of catching decent fish. I had an email from Ciaran, who opted to go in search of species with his LRF gear on Weymouth Stone pier. Fishing with Power Isome, he managed to land some Herring. It is good to see that shoals of Herring are slowly recovering. 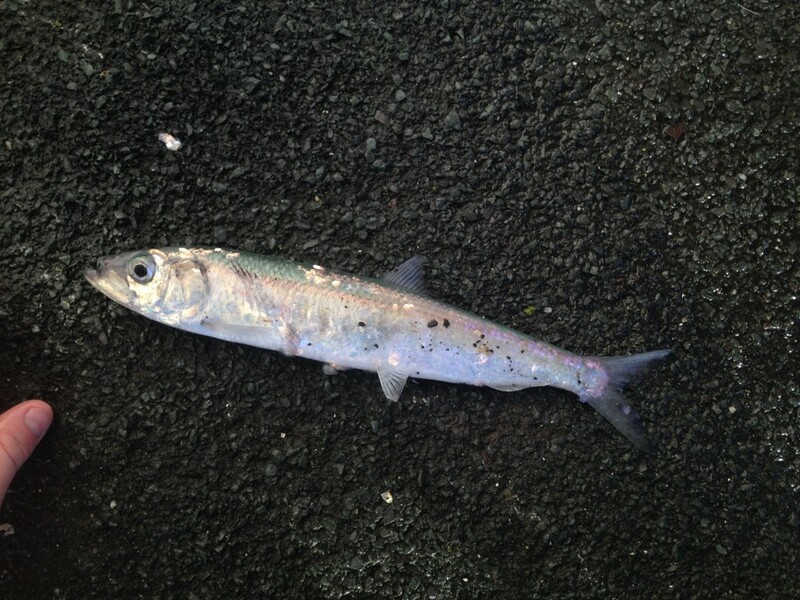 It is not unusual to catch Herring at this time of year, but not many people try for them. If you do want to try for them, then piers are a good place to try. Weymouth, West Bay and Swanage piers, will produce Herring and plenty of other species. Small Hokia lures are great for Herring. Poole is still fishing well for Flounder, though the Bass seem to have moved out of the harbour. As usual the best bait for Flounder is Ragworm. The mild weather means that there are still a lot of bait robbing crabs around, so the use of floating beads on your traces is recommended. Chesil Beach: 1m swell, with coloured water. Portland: 1m waves with coloured water. Weymouth Bay: Calm. The water is lightly coloured. Chesil Beach forecast: Nice light winds from the North West, will keep the swell down on Chesil allowing good casting distances. You might be lucky and get one of the Cod that may have hung around after the rough weather, but it is more likely that the fishing will be pretty poor on Chesil for the next 6 weeks. You will of course get Dogfish, Pout and Whiting after dark. Portland: The swell and rough weather have finally died down, and the colour is dropping out of the water. It would be worth a try to see if any Wrasse have stayed around. If they are here then they will be the bigger specimens, and well worth targeting. Whilst the water is still fairly coloured then using bait is the only option. If the water clears up, then lure fishing for Wrasse and Pollock will bring some great sport. Portland Harbour: There was a few Flounder and a couple of Bass caught in the harbour at the weekend, so the chances of picking some up over the next couple of days are good. Ragworm and Lugworm will work well in the harbour. 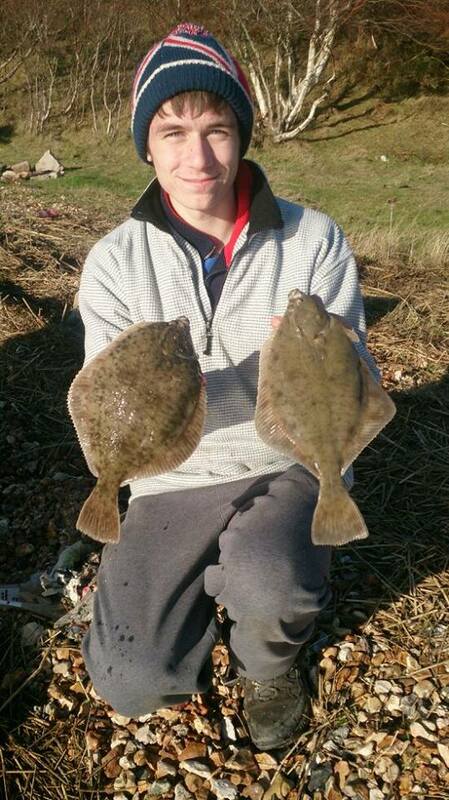 Weymouth Bay: Both the Stone and Pleasure Piers will see a lot of action from the LRF anglers targeting mini species. Whilst mini species are as the name suggests small fish, with the right tackle they can be great sport. What is exciting about this type of fishing, is you can pick up some very unusual species. It can be a nice change to sitting on the beach blanking. Fishing Tails > All Articles > Reports > Chesil Beach > Even more Cod than last weekend. One Response to "Even more Cod than last weekend."